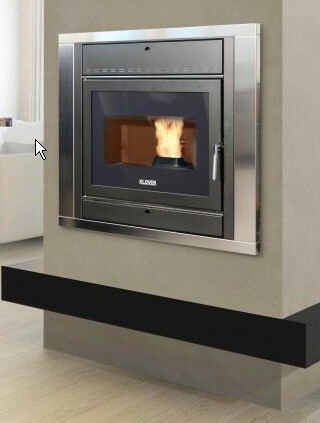 The insert PELLET FIRE PLACE 22 is a pellet stove be connected to the heating system of your home. With 22 PELLET FIRE PLACE heat evenly throughout your home, using the hydraulic system already implemented. You can also combine it with a gas boiler, without worrying about having to install additional hydraulic components, because PELLET FIRE PLACE 22 already has all of the series. * Depending on the fuel burned, the type of construction and insulation of the building. N.B. The stainless steel frame and stand are not included in the price.